I find removing eye makeup and especially kajal or liner from waterlines really difficult task. Though markets are full different types of eye makeup remover but finding the right is the most important. Eyes are very delicate and as I have very sensitive eyes I can’t use anything. Eye makeup removers contain harmful chemicals and it might cause itching, swelling or redness in eyes. Unfortunately I had all these problems. According to Ayurveda, Cow’s Ghee (Clarified butter) is used as eyes drops to aid sensitive and allergic eyes and also ghee is used in many Ayurvedic eye medicines and drops. 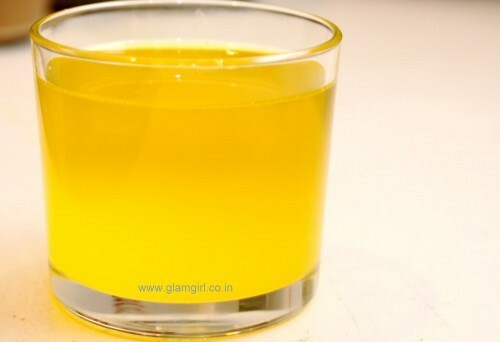 To remove eye make up take few drops of melted Cow’s ghee on a cotton pad and use it remove your eye makeup You can definitely use it on waterline, its completely safe and it’ll be a treat to your eyes. I use it everytime I have to remove my eye makeup and now I don’t have any problems such as itching, or redness in my eyes. Try this and do tell me if it works for you.